How do you think CRISPR and the gene drive will change the future of genetic engineering? I am of the opinion that CRISPR is one of the most revolutionary advances in biotechnology of our time. The precision with which genes can be edited due to the specificity of the system is just incredible. I would certainly predict that its popularity (with scientists, not necessarily with the general public, especially the uninformed) will soar in the future, although at least for a short time, “conventional” genetic engineering will still be practiced. But given public outcry about GMOs (even if not warranted—a topic for another time), the ability to improve an organism without bringing in genes from another organism could be more popular and, indeed, simply easier, with fewer steps required. The gene drive is more specific; I think it has a lot fewer potential applications than CRISPR. Whereas CRISPR can be used with most any current genetic engineering application, I really can’t think of an application for the gene drive that is really different from its current uses, combating insect-vector diseases and pesticide/herbicide resistance. They might try to tackle antibiotic resistance with it next, but I don’t think it will have broad-based applications after that. I would predict that CRISPR will be by far the more influential technique in future. What gradual, irreversible changes to the human genome might happen? My best idea is that, according to the principles of natural selection, any beneficial-to-survival changes made to a majority of people by genetic engineering (and propagated through the germ line) could eventually become fixed in the population. I’m going to stop there, since I don’t have quite the human or population genetics knowledge to go on. Can you see cells from certain people being in high demand? What kind of people? This is a very interesting question. First, instead of cells, I think we’d be talking about DNA sequences; why bother taking the whole cell if you can get just the DNA you want? I also assume here that the question is asking about acquiring copies of someone else’s DNA for non-gene-therapy genetic enhancement. In this case, I expect that genes from athletic people (there are some known genes related to athleticism—I know of one specific case in which a certain allele of one gene is associated with endurance running) and intelligent people (if such genes could be identified—to my knowledge there are none currently) might be popular for making “designer babies” and so forth. What laws do you think might be passed to regulate genetic engineering? I’m not as knowledgeable about the legal side of biotech, but currently, I know labeling laws for GMO foods are a big deal. A quick search revealed to me that GMOs are put through testing processes by a few federal agencies before being put on the market to determine their safety. It’s conceivable that a law prohibiting non-gene-therapy engineering of humans could be passed, although presumably not in the kind of society most sci-fi/dystopian writers who read this will be interested in. Besides that, I apologize, but I can’t come up with much. Is inter-species gene editing something that is possible for humans? Do you see genetic engineering ever being something smart high school students can do in their kitchen? Absolutely. In fact, this kind of thing is happening today among a DIY biologist or “biohacker” movement that believes science shouldn’t be for academia alone. So far, though, they’re not that scary; national and worldwide organizations like DIY Bio (https://diybio.org/) have been good about organizing events regarding safety and bioethics. It’s not being done to humans, or even vertebrate animals as far as I can tell; there are still too many ethical issues in that area. But yes, as long as you can afford the reagents and equipment, you can genetically engineer a plant or a (nonpathogenic) microbe. I believe even CRISPR is currently accessible for DIY biologists (though it costs about $500—I’m sure the price will go down as it becomes an established part of biotech). If inter-species gene editing is possible for humans, how about humans and a different category of animals, like birds? Again, absolutely; you could put a plant gene in a human cell if you wanted, or vice versa. And I’ve read about glow-in-the-dark animals being created by expressing a jellyfish gene. First, let me say that “dwarves” already exist; we know them as “midgets.” There are a variety fo forms of dwarfism, some dominant, some recessive, but none require genetic engineering. By “elves” I assume you mean basically humans with pointed ears. I expect this would most easily be done surgically. As for “giants,” height is an extremely complex trait. It is quantitative, meaning that it follows a bell-curve distribution in the population, and there are currently thought to be about 700 genes that influence it. So engineering really tall people could be possible, but I suspect it would be inefficient in the incredible amount of effort it would take. Here is my source (http://time.com/4655634/genetics-height-tall-short/) for that, and I recommend you look up more detailed information on that trait if it’s something you’re interested in using in your story. I just don’t know enough about it to be of much help. The others would be difficult, but theoretically doable in the far future given a masterful understanding of cellular physiology and probably lots of trial and error. For the humans with animal parts (winged, merpeople, centaurs), geneticists would need an almost perfectly complete understanding of development, which, once again, is incredibly complicated and controlled by many, many genes. It is possible that cells could be induced (“programmed”) to differentiate in such a way as to generate animal limbs on a human body, or to replace human limbs with animal ones, but this would also likely require detailed knowledge of the role of epigenetics in development, and complete knowledge of both human and animal development, which would simply take a very long time to achieve. And even then, it’s completely possible that scientists assembling and applying all this knowledge could miss something essential and make some terrible mistakes. Not to mention all the trial and error—what if a limb grew in the wrong place? etc. So, possible, but not probable to begin with, and would need to be masterfully executed. The “bleeding through” of other traits mentioned in this question is, I would say, almost certainly not realistic. Giving someone wings will not automatically give them, say, sharp eyesight; that would be controlled by other genes (as well as environmental factors). It makes for interesting fiction, but as far as I know, there is no scientific basis for it. As for the last one on the list, the pertinent process is cellular respiration. You would need to somehow increase the efficiency of this (again) complex process, which is only 39% efficient at capturing the energy in glucose into ATP (look up the basics of the process). I will say tentatively that this could be one of the more feasible things on this list, if only because cellular respiration is already fairly well understood (i.e. it’s not one of the great mysteries of our time) and preliminary studies could be carried out with bacterial or yeast cultures before progressing to human and mouse cultures, mouse trials, and finally human trials. Here, to make a long answer longer, I want to make a general note about the approval process for human studies. I feel that the “evil scientist does unethical experiments on humans” trope is both overused and inaccurate. Every university, as far as I know, has an Institutional Review Board (IRB) that convenes solely for the purpose of evaluating and approving human-subject studies. This applies not only to clinical trials, but to interviews and surveys in psychology studies, and even to education studies that take class data and use it for research. Even if there is no perceptible risk at all, researchers are absolutely required to provide the subjects with knowledge about risks, so that they can be informed when they sign the form they must sign (even for a harmless survey!). This applies very much more to genetic engineering and so forth. Under this system, it’s very difficult to conduct an unethical study regarding human subjects, and unless social mores shifted in the future, it’s conceivable that the system will stay like this, making it difficult for any of these ideas to get off the ground, due to possible unforeseen consequences of the alterations. If yes for the above, would reversal be possible, not just for the offspring but for the person in question? For example, if a winged human wanted to be a regular human again, would she be able to be one after extensive surgery and gene therapy? I would say yes, although it’s completely a guess since I’m not a medical expert. The gene therapy might not even be necessary; though the genes might still be in the rest of her body, if they weren’t being expressed, she could be a “normal” human with nonhuman DNA, as long as her wings were removed. My bet is that the removal could be done with a surgical procedure (albeit complicated, probably, to remove the whole wing skeletal structure). Hey, everyone! A couple weeks ago, I put out a call for questions from writers about sci-fi genetics things. Genetics and biotechnology are becoming really popular in science fiction, going right along with the scientific revolution they’re currently undergoing, and as a genetics major, I really like to see these topics accurately portrayed in fiction. Thank you so much to Victoria Howell and H. Halverstadt for asking these questions! Is it possible in the future that a compound could be invented to speed up healing of all tissues? The short answer is: anything’s possible, right? Actually, tissue regeneration, which is kind of similar to this question, is becoming a big thing; I knew someone once who was applying to a tissue regeneration master’s program at Brown University. As this article explains, though, speed healing is a tradeoff for accuracy in rebuilding tissues (the article also has some other great thoughts about regeneration, more than I can tell you, if anyone’s interested). How do you think people in the future would respond physiologically to bacterial and viral infections? In a society where human genetic engineering is commonplace, how do you think sickness would be affected? What kind of diseases can’t be eradicated by genetic engineering or vaccines? As far as eradication, some kinds of diseases are easier to eradicate than others. Smallpox was a good candidate for eradication for a couple reasons: 1) it has no animal vector (i.e. doesn’t spend part of its life cycle in an animal or an insect somewhere, which makes diseases very difficult to control—think malaria), and 2) when you’ve had smallpox once, you don’t get it again. Anything that doesn’t fit these criteria (which is a lot of diseases!) is difficult to eradicate, although the gene drive is being tested against malaria and other mosquito-vector diseases (see this post). Any kind of parasite (think tapeworm) could probably be eradicated with good living conditions (you don’t hear about Americans getting parasitic worms, do you? But they’re all over third-world countries). So bottom line, it’s hard to say, but it really depends on the kind of disease, what resources are available, and how much time is available to develop those resources. What are the possibilities of a pandemic happening? So a “pandemic” is defined as a disease outbreak that becomes prevalent over an entire country or internationally. This actually has happened and will probably happen again; H1N1 (swine flu), Ebola, HIV, and (I believe) Zika all count as pandemics. What I think this question is actually getting at is the probability of a world-decimating pandemic, and that’s hard for me to say with my limited medical knowledge. My guess is that it could happen, and if it did, it would devastate third-world countries with few public health efforts first, and unless it was an extraordinarily fast-spreading pathogen, advanced countries like the US would have plenty of time to prepare vaccines and minimize cases. Cyber limbs are becoming more common every day. What limitations might someone with cyber technology face? This is really more a computer science thing, as far as I can tell, but I’ll do my best to give thoughts from the biology side—just take everything I say here with a grain of salt. J So my guess is that cyber limbs would require some kind of wiring into the brain, for starters, and that would require some really tough, non-rustable wires (they would have to be metal coated in nontoxic plastic or something). Also, the body often rejects foreign objects, like nonsimilar organ transplants, as being “nonself,” causing the immune system to go on full attack mode and eventually making the person very sick. I expect this would happen with cyber technology as well. (I’ve actually heard of research projects dealing with the difficulty of creating bioadhesives compatible with the body, for transplants and what have you.) So my guess is most of the problems would be during the implantation phase. Do you see new disease mutations happening to replace any that are eradicated? What kind of diseases do you think they would be, and how do you think people in this future world would physiologically respond to them? To the first part of the question, I say absolutely. Disease organisms, like all organisms, mutate all the time. To give some background information, the average error rate per DNA replication cycle (which is all the mutation rate is, really) is one error per 106-108 nucleotide base pairs. That’s one error per 1 million-100 million bases, which is pretty low, really, but when you consider how large the genome is, and how many copies of the genome are present in multicellular organisms, it’s staggering. Taking the 100 million number for the human body, 37.2 trillion cells in the body, and a genome of about 3 billion bases, that comes out to about 1.1 quadrillion mutations in the human body every cell cycle, which is staggering! The moral of the story is, mutations happen in every organism, all the time, so yes, new disease mutations could certainly happen, whether in bacteria, viruses, or fungi. With regards to human disease response physiology, humans aren’t exactly my specialty, but I expect it would be much the same as today. Evolution is a really slow process, unless humans sped it up by somehow engineering themselves with better immune systems, which is theoretically possible, but I’ve heard the immune system is so complex that I doubt this would be feasible without a technological breakthrough similar to that of next-generation sequencing (which revolutionized genetics and actually created the whole new field of genomics). How do you think aging would be affected by genetic engineering and advanced medicine? This is an intriguing and highly relevant question. Aging is one of the great scientific mysteries of our time, and as you can imagine, there are many scientists out there who are devoted to conquering it. To give some background, there are several current hypotheses about how aging happens. First, and perhaps most prevalently, the telomere theory: telomeres are the ends of our chromosomes, which shorten with each successive DNA replication. There is an enzyme called telomerase which re-lengthens them, but eventually, as we age, our telomeres shorten further and further, and the theory is that this contributes to the decline of our cells as we age. (This hypothesis is supported by the fact that cancer cells’ and germ-line cells’ telomeres don’t shrink at all.) Another hypothesis is called “antagonistic pleiotropy,” the idea of mutations accumulating in body cells (see above question), eventually reaching a detrimental level. Of course, one’s environment also plays into aging; people who eat healthy and so forth “age better” than those who don’t. With that very long background discussion, we can get to some of my educated guesses. Perhaps humans would be able to engineer some kind of hyperactive telomerase to prevent the degradation of telomeres, or an extra-corrective DNA polymerase that could go back and fix its mistakes at a higher rate than normal DNA pol. And it might eventually be considered a form of gene therapy to go back and “fix” a person’s aged genes and try to make them younger again (although it’s a long shot that this would work, in my opinion). Environmental factors, of course, can always be improved; good diets, for example, might become more prevalent in the future. What do you think? Does this apply to any of your writing? Have you thought about these questions before? Do you have any follow-up questions? (I might not be able to answer them all, but I’ll give it my best shot!) Tell me in the comments! Good morning, everyone! I was traveling last week, which prevented my putting up this post on Saturday as usual, and I decided to postpone it till today. One of the classes I took last semester was Biotechnology and Society, and I decided to write my final paper on synthetic biology after the teacher mentioned the first production of a self-replicating “man-made” cell by a group of scientists in California. Before I dig into that a bit more, though, let me define synthetic biology (or synth bio for short): it is the full-scale application of engineering techniques to biological systems. How is it different from regular genetic engineering/GMO production, then? The answer lies in the scale of said engineering: for genetic engineering, it’s on the gene level, one or more genes plus regulatory elements (regulating the expression of the gene) within an organism. For synth bio, though, engineering is on the level of an entire chromosome or even a genome, either wholescale editing or rewriting from the ground up. Essentially, synth bio is genetic engineering on steroids. A little history: Synthetic biology was first conceived, if not put into practice, way back in 1912 when Stephane Leduc, a French scientist, published La Biologie Synthetique. In this book, Leduc stated that the consistent and controlled reproduction of natural processes seen in other sciences, like chemistry, was lacking in biology at his time. Synthetic biology couldn’t take off, though, without the development of molecular biology in the mid-1900s, starting with Crick and Watson’s discovery of DNA structure (a topic for another time). Then, the development of fast, easy sequencing sparked our current age of genomics, the study of whole genomes, and synthetic biology had all the tools it needed to become a practiced discipline. This brings us up to recent developments. Just last year, a research group at the J. Craig Venter Institute, headed by Venter himself, succeeded in creating a self-replicating bacterium with a synthetic genome, the first of its kind. 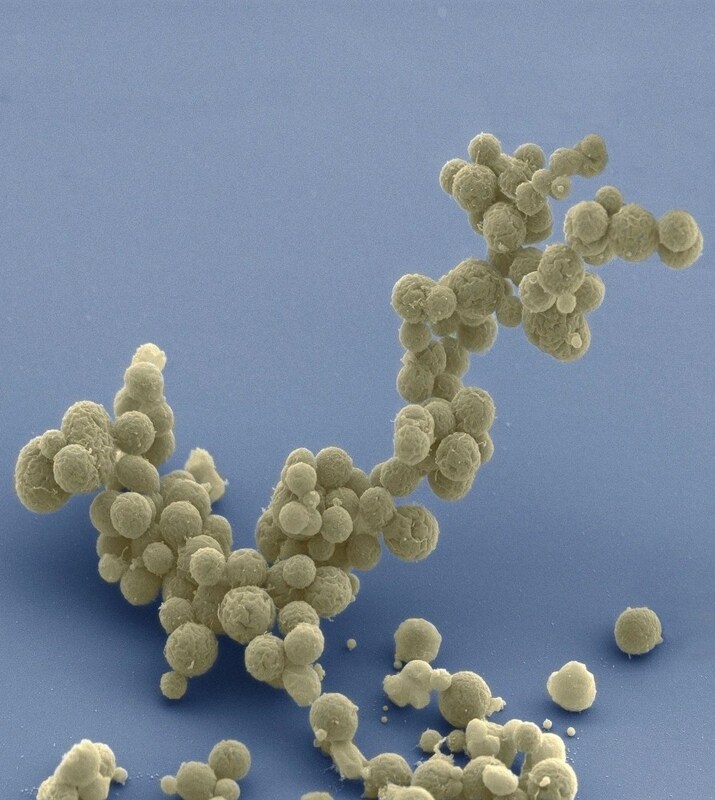 The bacterium, JCVI-syn3.0, has only what Venter’s team determined was the minimal genome necessary for life, a feat they accomplished by “mixing and matching” genes of the small bacterium Mycoplasma mycoides to find which ones a bacterium could live without. In future, Venter and his team see the use of similar synthetic bacteria not only to learn about life, but to engineer it for specific purposes, like biofuel production. The question is: how synthetic is JCVI-syn3.0? Technically, it’s not really a man-made bacterium. Only the genome was man-made, and that was really only adapted from the genome of M. mycoides. The “shell” the genome was inserted into was simply a living bacterium with the genome removed. This is a big step for synthetic biology, but it has a long way to go before it is truly dictionary-definition synthetic. What do you think? Have you heard of synthetic biology? Did you hear about the production of JCVI-syn3.0? Tell me in the comments! Hello, everyone! It’s the second Saturday of the month, which means I am here with a science post. I’ve been taking a class about biotechnology (which actually ended this past week), so I’ve been finding various biotech things to give presentations about and so forth. Today’s topic, bacteria-produced bioplastics, was one of those biotech things. 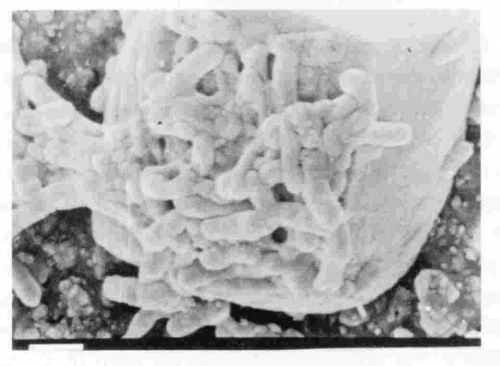 Alcaligenes eutrophus, a PHA-producing bacterium. PHAs have many and varied potential applications. They have been proposed as a packaging for foods like cheese, as biodegradable containers for things like drugs and fertilizers, as a material for disposable items like razors, cups, and shampoo bottles, and in the medical field, to be used as a material for things like sutures and bone replacements. Their properties are similar to those of currently used plastics like polypropylene, which could make the transition smoother if they were to go into use. The difficulty, up until recently, has not been getting the bacteria to make PHAs, but getting the PHAs out of the bacteria. Last month, however, it was reported that a Spanish research team has developed and patented a method for genetically engineering a predatory bacterium, Bdellovibrio bacteriovorus, to break down the PHA producers, but not the PHAs. A number of companies are already interested in using this method commercially; it could be used for extracting valuable enzymes and other proteins as well as for bioplastic production. This method is much safer and less expensive than previous methods that used things like chemical detergents to extract PHAs. I think it’s a big step forward in making PHAs practical. What do you think of this technology? Would you use a bioplastic? Have you ever heard of this before? Share in the comments!